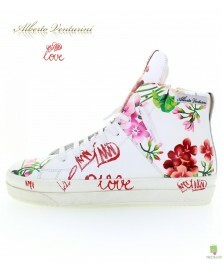 Alberto Venturini LOVE collection. 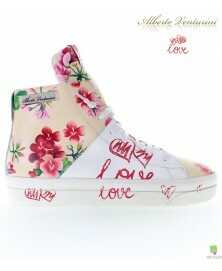 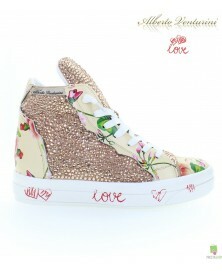 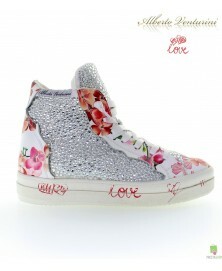 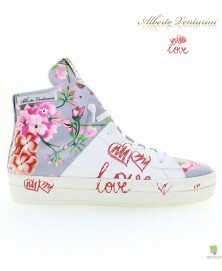 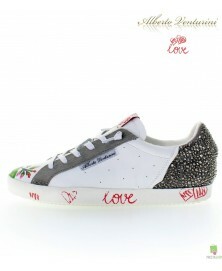 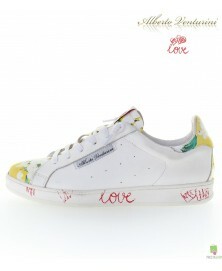 Flower sneakers with rhinetones and painted sole. 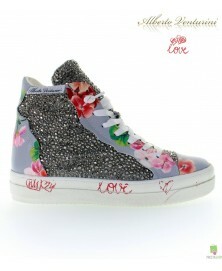 Rhinestones-shiny sneakers. 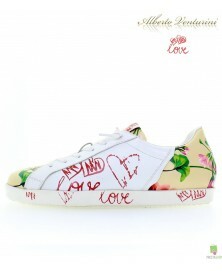 The upper in leather with a floral pattern. 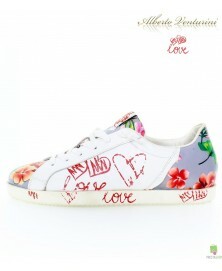 The heel detail in ponyskin. 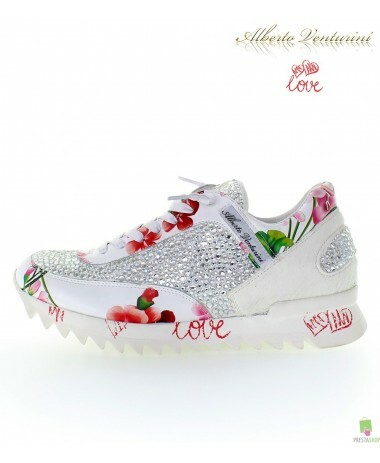 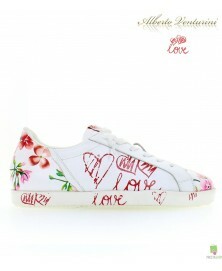 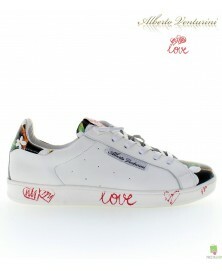 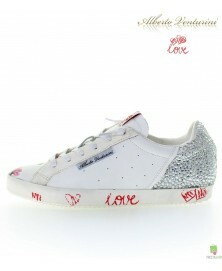 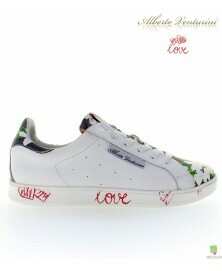 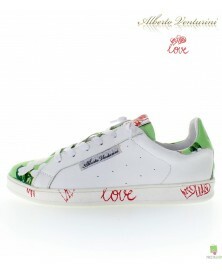 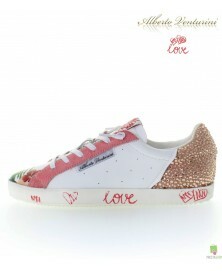 The sole design - red logo LOVE with hearts-makes the shoe unique and eye-catching. The removable insole ensures elegance and comfort.